Would Hip Hop History BEEn different Without Paul C? Who is Paul C? Should I know Paul C? This is a common response when we speak about Paul McKasty, AKA Paul C. It’s not unheard of for an artist or contributor to be snubbed out of the credits, or even go completely without acknowledgement, when an artistic work is released, but in the case of Paul C we are talking about a person who worked on at least seven classic hip-hop albums, and twelve albums in total. So should you know about him? Yes, because when you remove Paul C from hip-hop you remove one of the pillars of the genre: put simply, without Paul C a lot of hip-hop history would never have happened. Before he became Paul C, he was Paul McKasty from Rosedale, Queens. The McKasty family, of which Paul was one of four brothers, and with three sisters, enjoyed the arts and music especially from a young age. The oldest brother, John, was a regular in the Manhattan club scene and although he wasn’t a musician himself, he introduced Paul to the world of music through his extensive record collection, which proved to be the foundation for the music that Paul would later create. The second older brother, Michael, led a rock band and he took Paul along with him to shows from an early age, sparking Paul’s interest in learning to play music himself, and later was home to the beginning of Paul’s mixing career. Michael would ask Paul to get behind the mixing board at live performances, which Paul later perfected in the studio with his own group, ‘The Mandolindley Road Show’, in which he played bass guitar. Beginning in late 1987, the recording process with Ultramagnetic MCs took around six months, ending with arguably the best produced hip-hop album to date, with all tracks well-balanced and mixed to perfection. Paul C spent around three months on the mixing alone, and when the first singles came out it caused many producers to rethink their own music. Hank Shocklee has stated that the Ultramagnetic MCs album had a big influence on the sound of Public Enemy’s second album, ‘It Takes a Nation of Millions to Hold Us Back’. After the Ultramagnetics album release, people were lining up to work with Paul C while in his own mind he had only just found his craft, and was still trying to master it, rather than cash in on any hint of fame that might have come his way. Paul C was an artist. He showed no interested in contracts and took cash for the work he did – an admirable quality that unfortunately kept his name off many of the products he worked on. 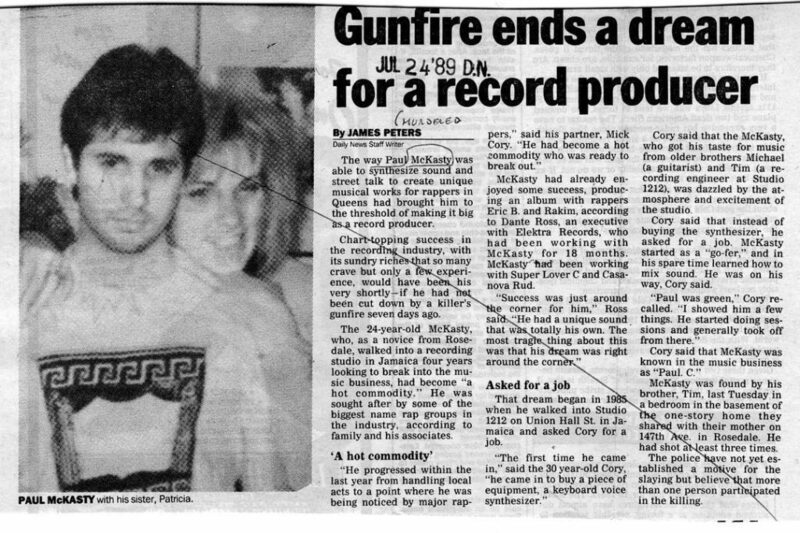 In June 1989 he had saved enough to buy himself into a share of 1212 Studio. ‘Crazy Noise’ by Stezo was the first release after the Ultramagnetic MCs album, and it gained early momentum after the release of the first single, ‘It’s My Turn’ which plays its own part in the legacy left by Paul C. During production Paul suggested to the group that they keep a drum solo at the beginning of the track, a drum solo that has become one of the most sampled beats in hip-hop – to this day they are stull being sampled. Many big record labels made contact with 1212, offering Paul C a deal to join them, but he wasn’t ready to commit, and wanted to maintain the musical freedom that he had enjoyed so far in his career, working with whom he wanted and when he wanted. Paul’s rebelliousness was born out of a desire to make hip-hop about more than just sampling; he would play keyboards and add his own basslines. He took drums and tore them apart, creating new speed and time patterns; he was soundscaping. Paul C was not hip-hip, he was music. By now Paul was already working with William Paul Mitchell, then known as Paul Juice, a 15 year-old kid with a group called ‘Main Source’ and a potential protégé for Paul C. He later changed his name to Large Professor. 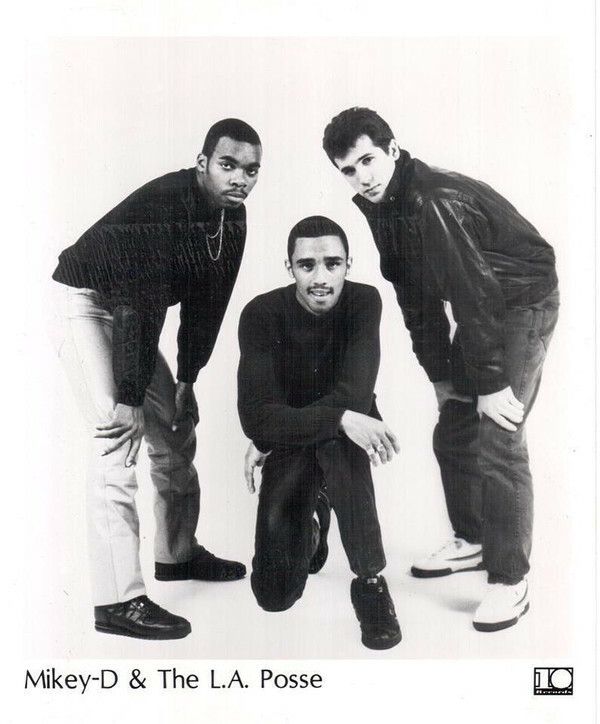 Main Source were already working on their album ‘Breaking Atoms’, a classic that was created with the collaboration of Paul C. At this time Paul reached out to a person he was a huge fan of, and through a mutual friend made contact with the rap god himself, Rakim. They tracks they worked on were released after Paul’s death; ‘Let the Rhythm Hit ‘em’ became an instant classic and many believe that, had Paul lived, the album would have been far better. Due to Paul’s untimely death, some of the tracks had to be taken from cassette tapes and put back into the sampler in order to create a proper arrangement. After Biz Markie completed his first album with Marley Marl he went in search for a new collaborator, and in Paul he found him, working through the night to get ‘Just a Friend’ right. The connections keep coming up – Marley and Rakim worked in ‘Eric B is President’, Biz Markie and Marley on ‘Goin’ Off’, and the comment from Marley about Paul’s mixing – Paul C and Marley Marl were the twin towers of hip-hip at this point, later becoming pillars on which future generations would stand. Paul had worked with the label ‘Tommy Boy’ on an unreleased album by the group ‘Too Poetic’ (led by the rapper of the same name, who later found fame with the group ‘Gravediggaz’), and when they approached him to work with Queen Latifah on the album ‘All Hail the Queen’, he didn’t have to think for long. He worked on two tracks, ‘Ladies First ft. Movie Love’ and ‘A King and Queen Creation ft. DJ Mark, the 45 King’. Should you know about Paul C? If you love music, you should know about Paul C. These are just fragments of his story, pixels in a much more complex picture. Who is Paul C? Paul C McKasty is musician, unity, non-bias, Music and more so Hip Hop Music. Never forget your heroes. Never forget Paul C.